The Terminals were a mid-late 80s-era supergroup featuring many important shards of the Kiwi underground, including core members Peter Stapleton, Mary Heney, and Ross Humphries from the very first Flying Nun release, the monumental Pin Group, joined with Susan Heney from The McGoohans, as well as Stephen Cogle from Vacuum and Victor Dimisich Band. Hard to keep all those intersections straight, that’s for sure, but this intense, brooding and ominous cadre of players have pulled together some of the darkest sounds to ever emanate from the isle. 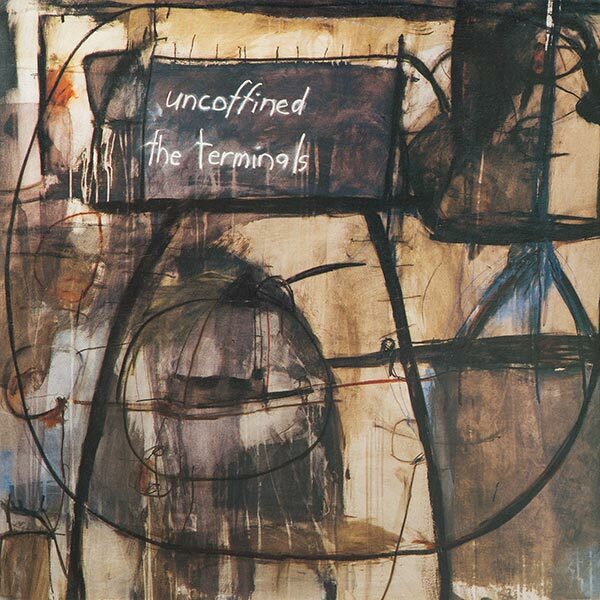 It’s hard to pick favorites with The Terminals, but ‘Uncoffined’ their debut LP recorded in 1988 seemed like the best place to start. It’s hard to believe something this dark and twisted could also be so catchy, sounding like not much else from the time, The Terminals never caught the indie rock afterglow that label mates The Clean, The Bats, or The Verlaines got, yet their catalog of dubious releases is still being discovered, even now as we speak. Remastered from the original tapes to revive what was lost in the haze of limp late 1980s studio mastering techniques, this improved version sparkles with hostility, the sheen of atmospheric shadows interlaced between tension-building crescendos, The Terminals ‘Uncoffined’ is a lost masterpiece of Antipodean dark wave pop music destined to reinstate it’s place in the annals of underground music history. 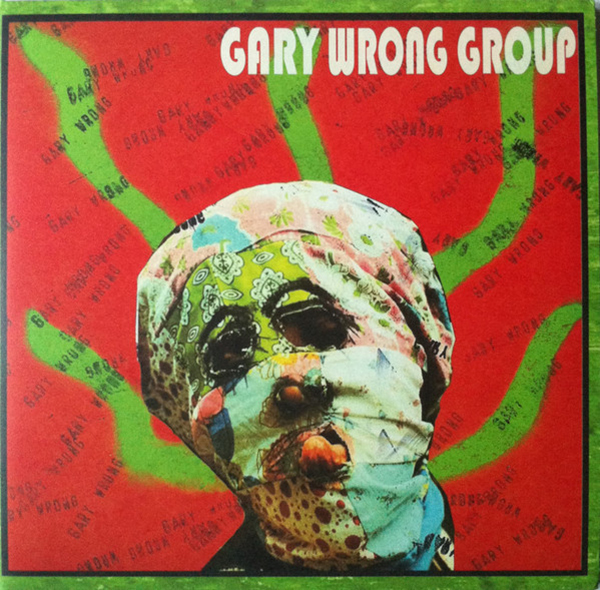 “Talent means nothing in rock music unless you can sound different from everyone else, and sounding different from everyone else doesn’t necessarily require talent in either instruments or vocals. Some even call it a hindrance. Particularly with vocalists, it’s often a matter of chance; if you happen to have been born with a distinctive voice, you immediately stick out from the crowd. In Stephen Cogle, New Zealand’s Terminals have a singer who is so unearthly and devastatingly direct that he hardly seems human. The Terminals began in the late ’80s in Christchurch from the ashes of amazingly obscure experimental combos like the Pin Group and the Victor Dimisich Band. According to resident oddball Roy Montgomery, Christchurch’s bands were made up of “people who were not well-adjusted socially.” That seems apparent now, but you wouldn’t have guessed it from the Terminals first two albums, Disconnect and Uncoffined, brilliant outpourings of crisp, sparse jangle that still stand as Kiwi-pop’s greatest achievement ever. Flying Nun’s combined disc of the two, Cul de Sac, is easily one of the top 10 albums of all time. But then Clean pop-man Russ Humphries left and was replaced by Renderers guitarist Brian Crook, who tilted the group back to their roots in a louder, more experimental direction. Both Touch and Little Things featured dramatic (but not melodramatic) songs full of harsh, wailing synthesizers and Crook’s patented guitar squeals, all squeezed into amazingly strong, structured songs. STREAM the Terminals track "No" right here, and pick up a copy of the official reissue on HoZac Archival wherever fine records are sold, or direct from the label right HERE.